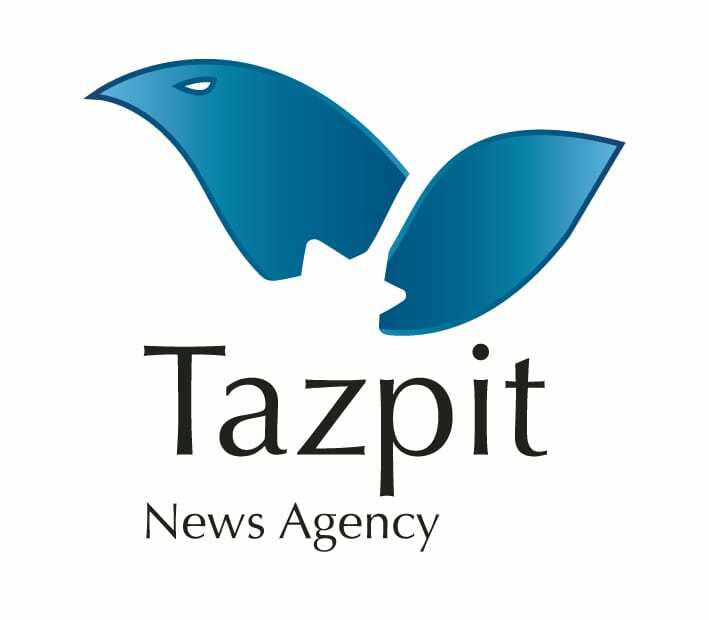 Knesset: "Crimes Against Humanity Occurring in China" - Breaking Israel News | Latest News. Biblical Perspective. JERUSALEM – “It is the moral duty of the Jewish people to oppose the crimes against humanity occurring in China”, said Deputy Speaker of the Knesset and Chair of the Liberal Lobby, MK Moshe Feiglin (Likud). 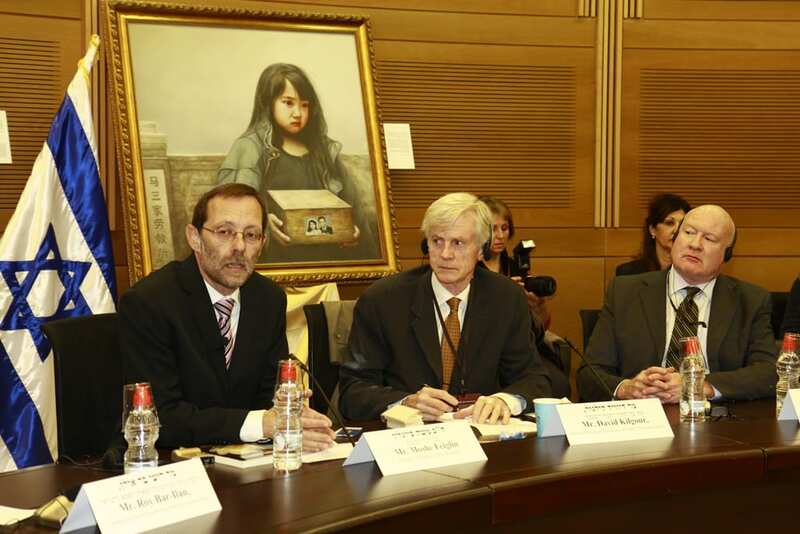 MK Feiglin made this statement during a special session of the Liberal Lobby in the Israeli parliament on Monday (Feb. 7) dedicated to identifying and showing solidarity with the Falun Gong practitioners who are victims of the Chinese regime’s persecution. Falun Gong practitioners are incarcerated in prison camps, tortured, and their organs are forcefully harvested. The session was attended by MK Hilik Bar of Labor, MK Nissin Zeev of Shas, and MK Boaz Toporovsky from Yesh Atid. An art exhibit called ‘Zhen Shan Ren’, meaning ‘Truth, Compassion and Forbearance’, the principles of Falun Gon, was presented during the session. 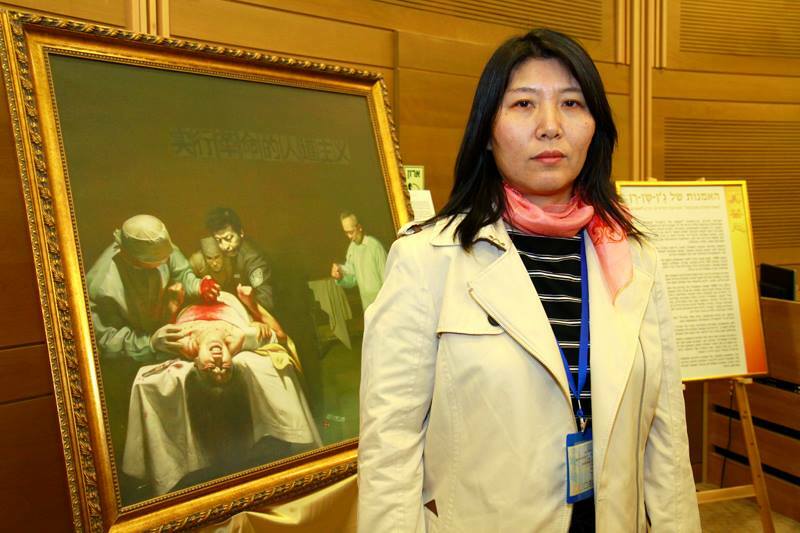 The paintings by Falun Gong practitioners depict their experiences and the feelings of the victims of the violence by the Chinese communist regime towards the 100 million Falun Gong practitioners. Other paintings depicted the beauty of the ancient mind-body “Falun Gong” spiritual practice. This art exhibit has been displayed at 800 locations in 50 countries over the past years, including the Australian parliament, the Czech parliament, the UK parliament, the US House of Representatives, and in reputable cultural centers and galleries around the world. During the session, Sara (Shiping Lu), a victim who has managed to escape from China after being incarcerated and tortured, gave her testimony in tears. She described the difficult ordeals she has been through during her two years of incarceration. Among other experiences, she described being arrested four times, being detained in isolation, tortured with electric batons, her hands tied behind her back and being hung from a window. “What is happening there must be stopped, it is a disaster for the Chinese people, it’s a crime,” she said. David Kilgour., former Canadian Secretary of State and Nobel Prize nominee for his research on the persecution against Falun Gong, said that Israel is a leading country in its legislative fight to stop the horrendous phenomena of forced organ harvesting. 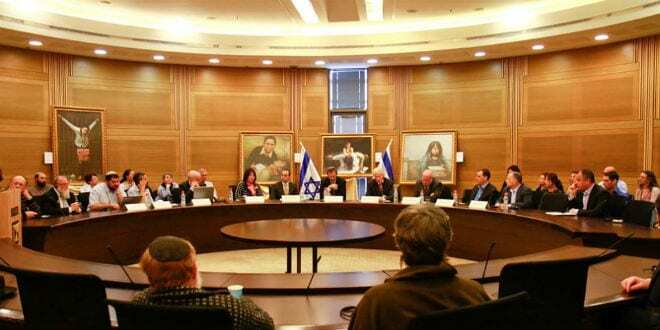 Kilgour called the Israeli Knesset to broaden the scope of laws that assist the victims, like legislating a law that allows Falun Gong refugees to gain refuge and assistance in Israel. Author and journalist Ethan Gutmannwho has been investing the persecution against Falun Gong and has published several books on the topic said in the session that China’s international economic activity should be limited. He also called on Israel and other countries to act against pharmaceutical companies that conduct clinical transplantation trials in China. According to Gutmann, these companies contribute to financing the illegal transplants in that country. This session in the Knesset was part of a series of events held under the banner “Israel Identifies with the Victims of Falun Gong”, including an event in Beit Berl college, a special meeting with Druz elders in Daliyat El Carmel, an event in Tel-Aviv university, meetings with representatives of Christian churches in the Old City in Jerusalem, and a concluding event in the Kibbutzim College in Tel-Aviv.